ATEX leak detection and SIL2 approved leak detection certified. Remote connection to speech and auto diallers. Status indicators, LED’s: power, leak, trouble (cable break). For water, fuel oil, chemical and refrigerant gas, using sensing cable or probes. Javac Leak Detector. This has been Used, Good Overall Condition. This includes, but is not limited to: CFCs R12, R11, R500, R503 etc. HCFCs R22, R123, R124, R502etc. Single color LED display with 6-level leak alarm. CFCs e.g.R12, R11,R500,R503 etc. HCFCs e.g. R22,R123, R124,R502 etc. HFCs e.g. R134a, R404s, R125 etc. Detect most gases that contain chlorine, fluorine and bromine (halogen gases). Detect cleaning agents used in dry cleaning. Elitech WJL6000 R134a R410a R22a Refrigerant Halogen Leak Detector Air HVAC Checker. Elitech WJL-6000 Halogen Leak Detector 100% Elitech new Halogen Gas HFC CFC Refrigerant Leak Detector Checker. Its advanced detection technology enables it to recognize all HFC (134a) CFC refrigerants. Detect most gases that contain chlorine, fluorine and bromine (halogen gases). Detect cleaning agents used in dry cleaning. Elitech WJL-6000 Halogen Leak Detector 100% Elitech new Halogen Gas HFC CFC Refrigerant Leak Detector Checker. It is very suitable for detecting cracks of pipes, valves, etc. 1 set Ultrasonic leak detector. 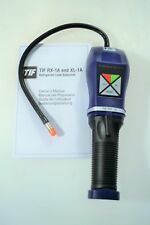 Automotive Brake Fluid Tester Oil Inspect LED Light Sound Alarm DOT3 DOT4 DOT5. 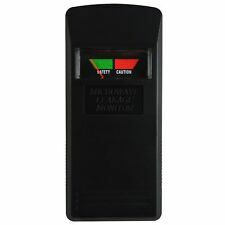 NEWEST VIDENT ILINK410 CAR ABS&SRS RESET TOOL OBDII Auto Diagnostic Scanner. Elitech WJL6000 R134a R410a R22a Refrigerant Halogen Leak Detector Air HVAC Checker. Detect most gases that contain chlorine, fluorine and bromine (halogen gases). Detect cleaning agents used in dry cleaning. Grab a bargain as this is the only one I have. wigam 413070A A/C U/V Leak Tester.. Dispatched with Royal Mail 2nd Class. The item is supplied with torch and mains charging adaptor. One use combined with accessories is for the detection of chemical leaks. We do NOT accept non sterling cheques/money orders. HCFCs R22, R123, R124, R502 etc…. It will respond to all halogen (includingChlorine of Fluorine ) refrigerants. CFCs R12, R11, R500, R503 etc…. HFCs R134a, R404a, R410A, R407C etc…. 12 BOTTLES OF SWAGELOK SNOOP. LIQUID GAS LEAK DETECTOR FLUID. 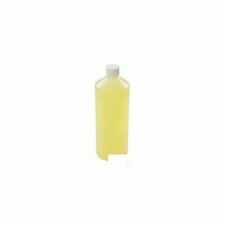 High quality leak detection fluid in polypropylene bottle. Fluid is non-toxic, non-irritant, non-corrosive and non-explosive. GRIP IT Fixings GASSORTKIT Heavy Duty Plasterboard Assorted Kit Contains 32 Pce (#182195472223). Elitech WJL-6000 Halogen Leak Detector 100% Elitech new Halogen Gas HFC CFC Refrigerant Leak Detector Checker. Its advanced detection technology enables it to recognize all HFC (134a) CFC refrigerants. Use but still working well. These instructions are intended as guidelines for general operation of the Universal Flush Fitting Kit. Follow the vehicle manufacturer's instructions for flushing A/C systems. Seating of the sealing cone into the fittings or tube ends does not require the use of wrenches or other tools. 1 Set of Air Conditioning Leak Detector. Features: A total of 71 pieces, Asian general model. If a container or pipe is filled with gas, when its internal pressure is stronger than the external pressure, due to the large internal and external pressure difference, once the container has a leak, gas will be flushed out of the leak hole. Halogen Leak Detector UHLD-100,use a refrigerant leak detector with interchangeable sensors to detect both halogen and refrigerants such as those containing chlorine, fluorine or bromine gas. Detects Halogen leak, such as R134a, R12, R410a, R22 and R600a etc. The concentration of the halogen agent may explode. In this case, when there is a very serious leakage of agent in the closed room, the room may be anoxic. The thermistor leak detector is currently the most sensitive portable device for accurate detection of coolant leakage in refrigeration systems. O Contents: 1 Piece Of Rothenberger ROLEAK-PRO GAS LEAK DETECTOR. o Tube Length: 40 cm. o Information: Gas Detection: R32, R134a, R410a, R407c, R22. o Includes durable carry case. o Bright LED display. As a combustible gas or vapor source is approached, an audible signal (ticking sound) increases in frequency and the red lights illuminate in sequence, to show the intensity of the leak. Formaldehyde Monitor. SALES POLICY 100% Money Back. UK Automation Mall. The large backlit LCD display is easy to see under any conditions. Amplifier weight (with batteries): 35 oz (2.19 lb). Toner & INK. Protection Class Amplifier IP52, sensor IP67. Piezoelectric ceramic sensor. ROBINAIR Electronic Leak Detector #16600. Audible and visual leak indicators. Used for all CFC HCFC and HFC refrigerants. (7) This High Sensitive Electronic Stethoscope can be used to quickly and accurate pinpoint noise and location of engine bad bearings, bushings dirty fuel injectors, wind and air leaks, noisy valv- es and filters. The compact, easy-to-use, RLD2 UV flashlight uncovers refrigerant leaks instantly. Use the UV light to find the leakage area, then use the laser pointer to pinpoint the exact leak location. o Part Number: RLD2. However, we will try our best to minimize it. O Contents: 1 Piece Of Robinaire INFRARED REFRIGERANT LEAK DETECTOR. o Part Number: 22791A. o Infrared Refrigerant Leak Detector. Using this Leak Detector, therefore, the operator simply traces the leak-sound to the point where its intensity is greatest; this point will be located directly above the subsurface leak. 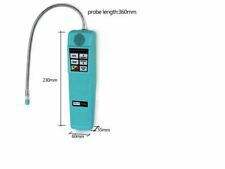 This leak detection device, will find under concrete, "water pipe leaks" Fast and easy way, for broken pipe leak detection and using more plumber on the world High sensitivity acoustic surface microphone. 1 x Leak Tools kit. Material: Aluminum. The color may have different as the difference display,pls understand. Tool Color: Silver. Box Color: Black. Detail Image. Product details 1 x Storage box.